If you're trying to get fit, you probably won't do it in a used Honda Fit because you'll love driving once so much, you won't get much exercise! But it's a nice trade-off because a used Honda Fit can save you a lot of cash which you can put towards a gym membership! Head on over to Burns Honda in Marlton, NJ, serving Mount Laurel and Medford, because we have many used Honda Fits on our lot that we'd like for you to test drive today so we can make a great deal this afternoon! Plenty of standard equipment comes on a used Honda Fit, including an Inline 4-cylinder with either a manual or automatic transmission, anti-lock brakes, traction control, air conditioning, an AM/FM/CD/MP3 audio system, 12 Volt power outlet, cruise control, daytime running lights, an engine immobilizer, power windows and door locks, and intermittent windshield wipers And remember, these are just standard features -- there's certain to a be a used Fit out there with even more options! A Certified Pre-Owned (CPO) Honda Fit from Burns Honda is a fantastic way to purchase a used Honda Fit and have confidence knowing the car has been reconditioned to factory standards. A used Fit must meet stringent criteria before it becomes certified, including being 6 model years old or newer and having 85,000 or fewer miles on the odometer. A CPO Honda Fit must undergo a rigorous 150-point inspection by factory-trained technicians and have a CARFAX history report, which includes any accidents, damages or repairs, must accompany each CPO Honda Fit. You'll get a fabulous warranty with a Certified Pre-Owned Honda Fit purchase, including a 7-year/100,000 mile powertrain limited warranty with $0 deductible for covered repairs, and a 12-month/12,000 extension of the New Car Warranty if it's still valid. For even more peace of mind, you can opt-in for Honda Care Certified Additional Coverage, which extends the powertrain warranty to 8-years/120,000 miles and features roadside assistance and more systems coverage. And if your CPO Honda Fit is equipped with satellite radio, you'll enjoy a complimentary 3-month subscription to SiriusXM. 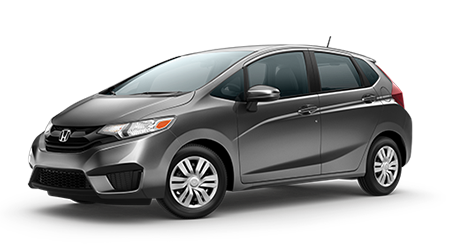 If you have a moment, you can get pre-approved for a used Honda Fit when you visit the Burns Honda website. You can determine your credit score without an inquiry by filling out a secure, online form where you'll know in seconds. Or if you'd rather, you can just apply for credit via a simple application online. If your credit isn't up to snuff, don't worry, as we work with multiple lenders and will do our best to get you approved for a used Honda Fit. If you're a driver in Medford or Mount Laurel, it's time to head over to Burns Honda in Marlton, NJ, so we can find you the used Honda Fit that fits your budget today!